Image courtesy of East Coast Eagles Media. East Coast Eagles vs. Pennant Hills Demons – Kanebridge Oval on Saturday, August 4, 2018. There’s only two rounds to go before the finals, and the race for positions is about as tight as it is possible to be. So tight is this year’s ladder that if Manly Warringah had scored one less behind this season, or Pennant Hills one more, fifth place would be different. Teams will be looking over their shoulder at scores around the grounds, where not just the winner but the margin will be critical. North Shore have the minor premiership safely wrapped up. UNSW Eastern Suburbs and East Coast are second and third, two games clear of Sydney University, Manly Warringah and Pennant Hills. 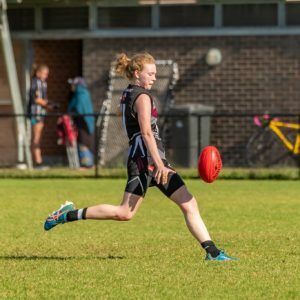 But the Bulldogs and Eagles have tough draws in the last two rounds, including playing each other next week, which leaves Sydney University and Manly Warringah, who don’t play finals contenders in the last two rounds, ready to pounce for the double-chance. And Pennant Hills, out of the five at the moment by the most minute of percentage gaps, have proven in recent years they can never be written off. There’s always a keen rivalry being played out when East Coast Eagles take on Pennant Hills Demons. 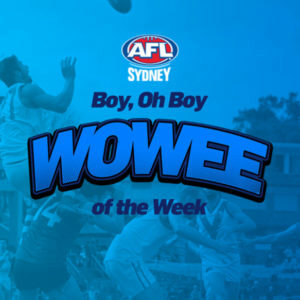 Bragging rights in the north-west is up for grabs, and some memorable clashes and Grand Finals in recent seasons will always build up the anticipation. 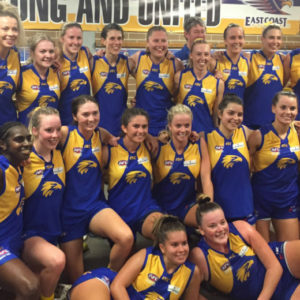 Saturday’s game at Kanebridge Oval was another chapter in the rivalry, and this time it was the Eagles who would be top of the Pops. There wasn’t much separating the two sides in the first quarter. It took some time for the two sides to feel each other out and gauge their opponents’ strengths and weaknesses. But it was clear that this was going to be a hard-fought contest, with some heavy tackles and some brilliant spoils making clean possessions hard to get. It was two goals apiece in the first term, the Pennant Hills Demons leading by a point at quarter time, and a keen contest was in the making. 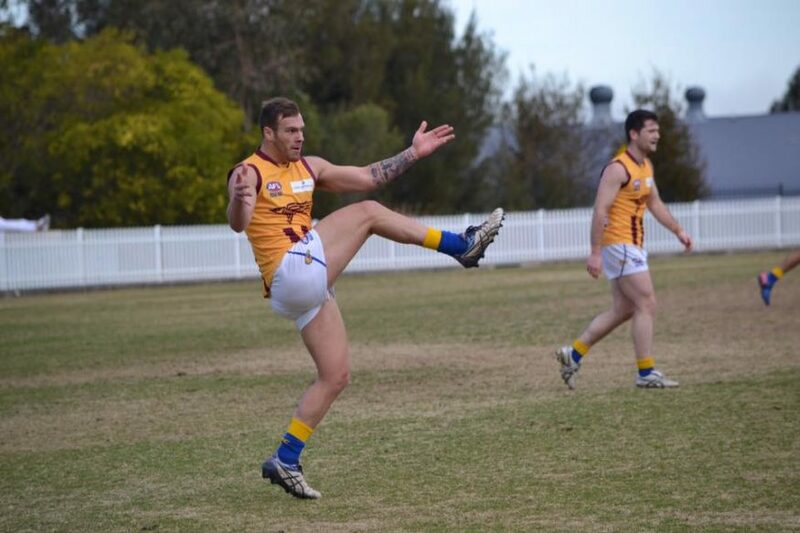 Goal for goal in the second term, as the East Coast Eagles flirted with the lead only to find the challenge responded to by the Pennant Hills Demons. An enthralling contest was unfolding as the two sides made their rotations to keep the other guessing. There were individual highlights, but the collective contest was still in the balance as the two sides returned to the rooms at half time, with the Demons having kicked three goals to two in the second term to lead by three points at the long break. Tensions rose in the third term, as the game reached a stalemate. This wasn’t a contest for the faint-hearted, and the pressure was building. There was no room for error, and no risk of conceding any advantage to your opponent. The faithful of both sides were watching in interest, waiting to see if the bubble of pressure would burst. The ball travelled from end to end. Something had to give, but nothing did. The East Coast Eagles, with a late flurry of behinds, took the lead, but neither team would score a goal in the third term and the siren sounded with the Eagles one point ahead. Such tight defence and relentless pressure was unsustainable, and finally in the last quarter the valve was released. The time had come for the attacking options to present themselves, to turn on the scoreboard pressure and get a winning result on the board. Again, not much separated the two sides, as the lead changed hands only for the answering goal to restore parity. But in the end, it was the East Coast Eagles who had the slightest of edges. Not by much, but four goals to three was enough to get them over the line. A fascinating contest finished with the Eagles taking the match by eight points. Stuart Turner, Andrew Browning and Karl Merson were decisive for the East Coast Eagles and their contributions played a key part in getting them over the line. The win keeps the Eagles two games clear of the three teams chasing, but so tight is the percentage gap that their position in the top five is not yet guaranteed. 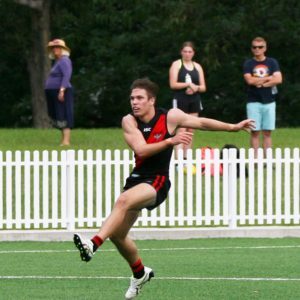 With games against UNSW Eastern Suburbs and the North Shore Bombers to come, it’s as if the finals have started early for the Eagles. The Pennant Hills Demons were well served by the efforts of Tom Angel, Michael Carroll and Alex Goodall. But they would be disappointed to drop this game and fall out of the top five. It’s not over for them yet, not by a long shot. But there will be nervous moments for the Demons from here on. They will need to win six games in a row to take out back to back premierships. EAST COAST GOALS – M Weekes 2, Jamie Vlatko 2, K Merson 2, D Saywell, T Stubbs. PENNANT HILLS GOALS – T Angel 3, A Crisfield 2, A Goodall, M Carey, C Luscombe. EAST COAST BEST – S Turner, A Browning, K Merson, T Stubbs, Jamie Vlatko, D Steer. PENNANT HILLS BEST – T Angel, M Carroll, A Goodall, S Wray, R Ediriwickrama, T Widmer.